GBC ProClick Binding Spines are available for use with any of the GBC ProClick Binding Machines. The individual spines are compatible with the GBC ProClick P50, the GBC ProClick 110 and the GBC ProClick 210E Binding Machines. GBC 5/16 inch ProClick Binding Spines have a sheet capacity of 45 sheets of 20# paper. 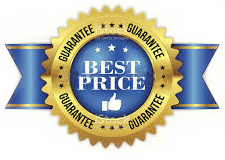 With our Guaranteed Lowest Pricing plus the additional savings you'll enjoy with our quantity pricing offers nobody saves you more money on GBC ProClick Binding Supplies than Laminator.com.